ISLAMABAD: The development of Gwadar port will directly benefit Balochistan province and the whole Pakistan under the bilateral China-Pakistan Economic Corridor (CPEC), Chairman of the Gwadar Port Authority (GPA) Dostain Khan Jamaldini told Xinhua in a recent interview. 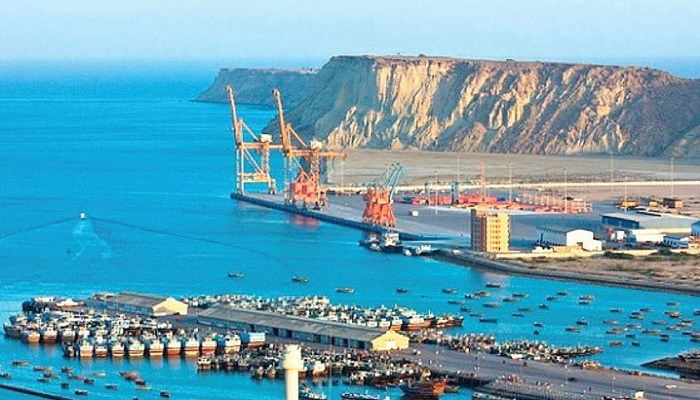 “Gwadar is a city of some 110,000 people and such massive industrialisation under the CPEC will have a great impact not only on the city but also on the whole Balochistan province,” said the GPA chief, adding that the Gwadar Free Zone will have the capacity to generate at least 38,000 direct jobs in the remote city. Geographically, the small city is located in southwestern Balochistan, being far from Pakistan’s economic centre. Road, railway and air connectivity were a great issue for its development. “Since the launch of CPEC, a drastic change has happened, and it brought a second life to the port city,” said Jamaldini. “The engine of economic development of Gwadar emanates from the Gwadar port. With the operationalisation of the Gwadar port, the city now has its own university and its own vocational training institutes. “Along with our Chinese counterparts, we have made a comprehensive plan about the future of Gwadar. “Gwadar is not only the port and free zone. We have discussed and started implementing all other factors which can greatly facilitate the port and free zone development such as internet connectivity, water provision, city development, power plants, Gwadar International Airport. Jamaldini said that the Gwadar port is very significant for Balochistan and the entire Pakistan as it has the great potentials to become the second big port city after Karachi and rise as one of the country’s commercial, financial and economic centers. “Gwadar is opening up trade in Pakistan ever since it became part of the CPEC. The port’s development and its cargo handling facilities have enhanced its potential to become one of the largest ports in the region, enabling it to attract not only the transshipment, but also the transit trade,” the chairman concluded.